Sony has unveiled two new smart watchbands – Wena Active and Wena Pro – which can be attached to any traditional timepiece to bring some, albeit limited, smart functionality to your wrist without ditching your beloved Rolex or Omega watch. 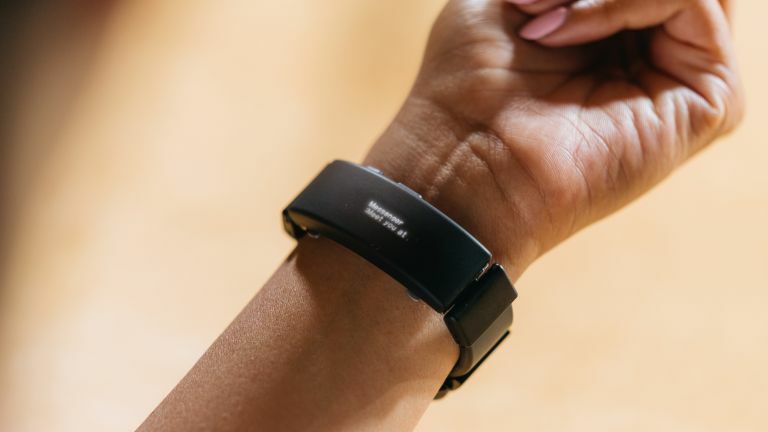 Following the huge reception to the original Wena (pronounced whe-na, not weena) band, the company has decided to bring the second-generation wearable to the UK and Ireland next month. Wena Pro is an upgraded version of the original smart band. The second-generation Wena is lighter and thinner than its predecessor. It also has water resistance for the first time, as well as a small OLED panel that sits where the clasp for the band is typically located. This subtle display allows wearers to quickly glance down to check the Caller ID of an incoming call buzzing in their pocket, or scan through a one or two line summary of text messages, emails and app notifications without pulling out their smartphone from their pocket. The smart watchbands also enable payments via NFC technology to give wearers the ability to pay with a quick tap of the wrist on a contactless payment terminal. Wirecard is enabling the technology in the UK, using the Boon app for iOS and Android. You'll be able to add a virtual card to the Wena app and set up automatic top ups, providing a simple way for everyone to access funds, no matter who they bank with. The Sony Wena Pro has 18mm, 20mm, and 22mm lug attachments included in the box, so you should be able to strap the activity-tracking band to almost any brand of watch – no matter what you favour wearing. The only difference between the Wena Pro and the Wena Active – a new line for the Wear Electronics Naturally range – is the addition of GPS. The Wena Active is also capable of feeding your data directly into Apple Health and Google Fit. Both smartbands claim to have a full week battery life, depending on usage. If you're constantly tracking runs with the GPS built into the Wena Active that's likely to drop a little, but it's still head and shoulders above most smartwatches. Sony says its latest range of smartbands were created "with full respect" for the culture around traditional wristwatches. If you don't have a family heirloom watch face that you're desperate not to ditch in favour of a smartwatch like the Apple Watch Series 4, or Moto 360, then Sony has unveiled five of its own watch heads to complete the Wena Pro and Wena Active smart watchbands, too. There are three possible designs, including a simple chronograph model, or a skeleton dial. Wena Pro and Wena Active are available to pre-order today, February 13, 2019. Wena Active costs at £349, while Wena Pro is priced at £399. The optional Sony-designed watch faces start from £100 and top-out at a £400.